JdR unites 60 partner youth organizations (youth clubs) in 37 regions of Russia. It consists of about 3 000 members. JdR keeps in touch with the German youth unions of Kazakhstan, Kyrgyzstan, Ukraine, Uzbekistan, Georgia, etc. JdR realizes a number of projects in various directions annually. 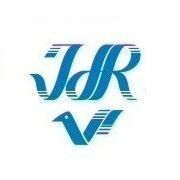 JdR is a part of the Youth of the European nationalities (YEN) – since 1999, National Youth Council of Russia – since 2000. Typical for the forefathers of the Germans in Russia was, that they had accepted the Russian citizenship. However they did not have coherent territory. The majority of Germans in Russia who belong to the younger generation do not speak German well because of historical and social circumstances. The older people often speak a German dialect which is however also endangered by the linguistic assimilation. The International Union of German Culture (IVDK) was founded in 1991 as an association of public unions and today is the oldest and the biggest public organization of Germans in Russia on the territory of Russia. As a main organization IVDK represents interests of all meeting centres of Germans in Russia on a federal level. At the same time a working group of the artists who belong to German minority in Russia started its work. For the improvement of the linguistic proficiency of Germans in Russia children and youth magazines “Schrumdirum”, “Schrumdi”, “WarumDarum” were brought to life by the IVDK. Germans in Russia were citizens of the Russian Federation, the USSR and the Russian empire with German genealogical roots. They were invited by a Russian ruler. Germans settled in Russia since the foundation of the Muscovy and worked voluntarily in our country. Since the epoch of Catherine the Great and practically up to the 1870s a plentiful settlement of German colonists took place in different regions of the Russian empire (in the Volga region, in the northern Black Sea, in the Caucasus, close to St. Petersburg). Over the centuries of living in Russia and in the Soviet Union Germans became an integral component of Russian history and culture and made an important contribution to development and to prosperity of the country. In the 20th century at times of the Soviet Union, the Germans had to live through tragic moments such as deportation of 1941, the mobilization of population in working columns for the duration of the war, huge juridical restrictions in post-war-temporal decades. The process of the rehabilitation of Germans in Russia lasted long and had no significant results. Only during the last years of modern Russia it was possible to bring a stable system of the self organization of Germans in Russia to life. The self organization is a key element in support of national-cultural development of the ethnic community. The mutual understanding and support of the Russian state as well as its cooperation with Germany played an important role too.